Now that true love's kiss has awakened her, waltz along with Sleeping Beauty once upon a dream! 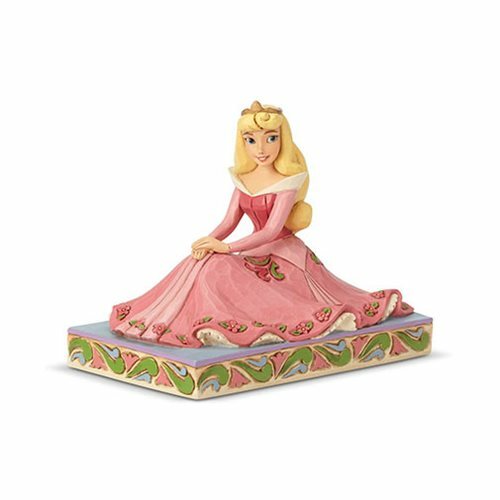 In this Disney Traditions Sleeping Beauty Aurora Personality Pose Be True Statue by Jim Shore, the royal darling's graceful demeanor is beautifully portrayed as she poses elegantly in her classic pink gown. Made of stone resin this statue is a must have for fans of Walt Disney's classic film Sleeping Beauty. Measures about 4 1/2-inches long x 3 1/2-inches tall x 2 4/5-inches wide.